You can put this on this list of “Crazy Things Knitters Do That No One Else But Other Knitters (and Paul) Understand”…. And we were off! I happily started a new pair of socks with my new surprisingly-nice-to-knit-with yarn by Deborah Norville (who happens to also be the new host of Knit and Crochet Now on PBS, a show I like). 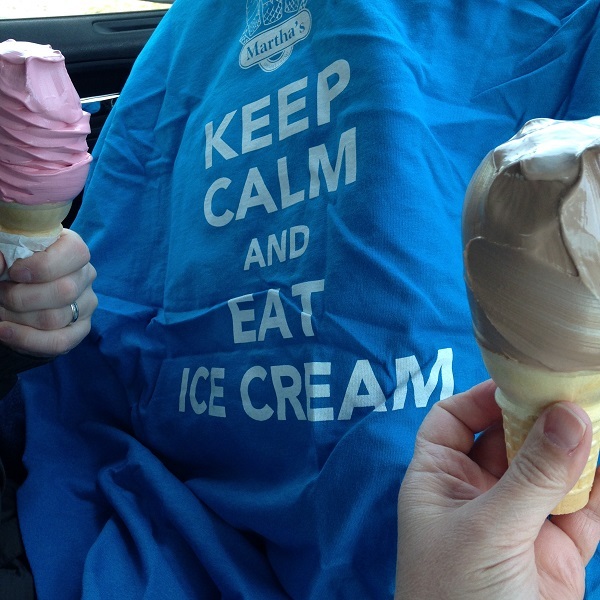 Not only did we get a great ice cream cone, but I got the best t-shirt ever. Except Paul said that I should add “and Knit” on the bottom of it. We decided it would be best to drive right by the tempting outlet stores and then we went for a nice, long walk along the lake and in the town of Lake George. Nice and quiet with no tourists! 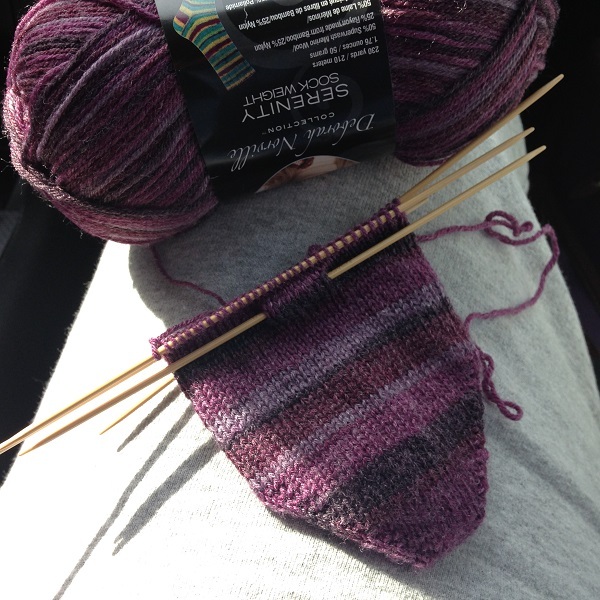 What a great day, and look how much I got done on a sock!…. And today I vacuumed AND mopped the floors. See what a little down time (and knitting time) does to the cleaning mojo? P.S. Paul mentioned that this is the third time this season we have gotten ice cream and my seasonal tally is not on the blog yet. I took it down, thinking that we wouldn’t have as much ice cream this year since we are trying to eat healthier (ha! ), and now I can’t remember how to re-put it up. I’ll work on that since apparently I was a tiny bit wrong in my thinking. 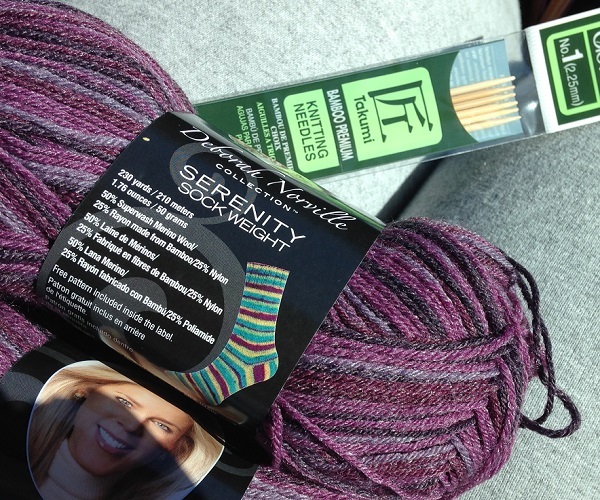 Posted in Uncategorized and tagged lake george, martha's dandee creme, yarn emergency on April 11, 2016 by lizytish. Love your post! Had to read it to my husband as he too would understand (I am always knitting in the car). We both laughed hysterically then he said, Paul needs to add some yarn and needles to the emergency car kit in the trunk. Hey, now there’s an idea! I knew I wasn’t the only one! I had someone else suggest I leave those socks in the car too. Will tell Paul to add them to the emergency kit!